A big Thank You to Natalie Williams Calhoun for helping the Jr. Orchestra with their Festival music while I was away! I am sure that you are all aware of the weather forecast for this Wednesday. We are running out of rehearsal time to prepare for Festival and our end of the year concerts, so I have scheduled a Saturday rehearsal, and am hoping that most of the orchestra can come. The Music Department at UPEI has kindly offered us the stage at Steel Recital Hall from 10:15-11:30 am Saturday March 29. My violin students have Group Class from 9-10 am before that. We will have a break to get the stage set up, and hope to begin playing at 10:15. No food or drinks in the Recital Hall, and indoor footwear only on the stage. Please enter the building through the door marked Recital Hall on the South side of the building. Parking is available in Lot C.
Please let me know if your child is able to attend. Hi Everyone. Thanks for your hard work on the holidays at our Singing strings practise. Due to the potential storm tomorrow I am asking all Intermediates to attend an extra practise at 1:45 on Sat in the parlour. Please remember the concert at the Prince Edward Home on Monday night, March 31st. Saturday, March 29th 3:00-5:00pm at our usual location. As we have a performance at Park Royal United church (as part of our contract in return for renting the sanctuary for next to nothing) on Sunday, March 30th, I need EVERYONE there for Saturday’s rehearsal! Let alone, we only have four more rehearsals (including this postponed rehearsal) before the music festival. Please confirm that you can come both on Saturday and Sunday via email! Upcoming concert – please come! 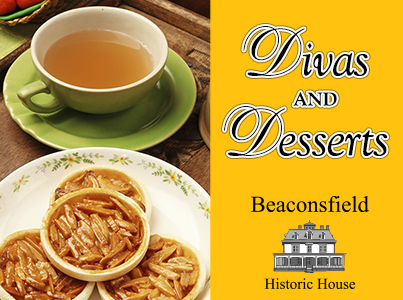 On Sunday, March 30th, at 2:30pm, Beaconsfield Historic House presents ‘Divas and Desserts’ in partnership with the Prince Edward Island Registered Music Teachers’ Association. The afternoon will feature performances by many of PEI’s well-known classical musicians including Frances McBurnie, Jenet Clement, Natalie Williams Calhoun, Lori Linkletter, Kay Linkletter, Katherine Murley, Valerie MacKenzie, Margot Rejskind, Jennifer Cullen, Andrea Ellis, Suzanne Campbell, Gregory Irvine, Frances Gray and members of Sirens: the women’s choir project. An extended intermission will feature a buffet of delectable desserts to devour while you mingle with friends in the warm and welcoming atmosphere of the Beaconsfield Carriage House. There will be desserts for all, including tasty gluten-free, dairy-free and nut-free temptations. The Registered Music Teachers who are performing are pleased to welcome guest performers Echo Lau and Rebecca Apps. Echo is a recent piano graduate from the Music Department at UPEI. She was a soloist with the PEI Symphony Orchestra last November and has represented PEI in several national competitions. Rebecca is a third year vocal performance major studying with Sung Ha Shin-Bouey at UPEI. She has been a featured soloist at UPEI and in the community and is working toward a career in opera. Echo and Rebecca represented PEI in the CFMTA National Piano and Voice Competitions last summer in Halifax. The PEI Registered Music Teachers’ Association through the Canadian Federation of Music Teachers provides opportunities for students to perform in National and Regional competitions. Rebecca Apps will be participating in the Atlantic Young Artists Competition in New Brunswick on April 26, 2014. Some of the proceeds from our March 30th event will be used to support our students who compete off-Island. Tickets cost $25 (HST included) and must be reserved in advance by calling 368-6603. There are a limited number of tickets available for children 12 and under for $15. Please log on and access the survey if you would like to order fruit! Some of you have also received a link via email. Just a few thoughts to hand out this week – we are continuing to work on our three (possibly 4) festival pieces: Skyfall, Vanishing Pointe, Dvorak 3rd movement (Scherzo) and possibly Ghosts of Brandenburg, depending on timing and how things are feeling by that point. I think to help us feel a little more comfortable with the Dvorak for the festival performance, I would like to offer some sectionals during the March Break (March 17-22). If you are interested in this option, please let me know – it would be a matter of arranging small groups of first violins, or second violins, or violas, or celli… just so we can go through the parts by themselves and work through some bits that you might be scared of, or unfamiliar with, or would just like some help through. Both Jen and I are willing to help out with this so let’s make it happen! Please note: The Senior Singing Strings will NOT be attending the Atlantic Music Festival in Halifax (April 30 – May 2) as Natalie is previously committed to adjudicating at the Fredericton Music Festival from April 26 to May 1. Please remember that our Fundscrip fundraising is still ongoing – if you are interested in making an order, please send Natalie an email and I will email you the order form. Cheques can be made to Singing Strings and we will deliver your cards to you as soon as possible. There is always the option of ordering online and having the cards mailed directly to you for the price of a stamp ($0.73) – this would mean you most likely will get the gift cards sooner as the processing is a bit quicker.